We recommend you use the Internet to update if you can. If not, you can use this method instead. 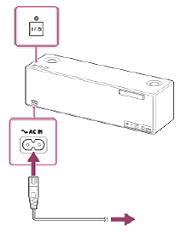 You'll download the update to your computer, transfer it to a USB memory device, then transfer it to your SRS-X99. Download the firmware update. The file SRSX99V1602994.zip154 MB (161,896,517 bytes) will begin downloading. 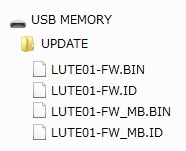 A folder named Update will appear on your desktop containing the following files: LUTE01-FW.BIN; LUTE01-FW.ID; LUTE01-FW_MB.BIN; LUTE01-FW_MB. Check that the update is complete with the Software Version Check for Wireless Speaker SRS-X99. How to check your firmware version. Then, the update is completed.